Events abound all summer long on the Emerald Coast. There is so much to do, taste, & see, you won’t want to miss a beat! In an attempt to break the Guinness World Record for the most peope buried in the sand simultaneously, the Hilton Sandestin will begin burying it’s guests at 8:30AM. Registration is from 7AM – 8AM. This will be one for the records books! Kick off the Fourth with a bike decorating contest and parade in Cerulean park with a Carnival following in Marina Park. Join us at WaterColor’s Marina Park to see Tim Jackson, Ike Bartley & Band, Matt Miller, Jimmy Ward and The Forrest Williams Band. Over 70 prizes will be raffled to benefit the Lighthouse Family Retreat and Alaqua Animal Refuge. Arrive early to stake out your spot to watch one of 30A’s favorite events. You’ll see a little bit of everything as tourists and locals alike decorate their cars, golf carts, bikes, scooters and strut down 30A! The amazing Atlanta Allstars play at 6PM and the firework display is at 9PM. Bring blankets and low back chairs to the Alys Beach Amphitheater, Piper’s Food Stand will offer food and drink. This event is FREE! 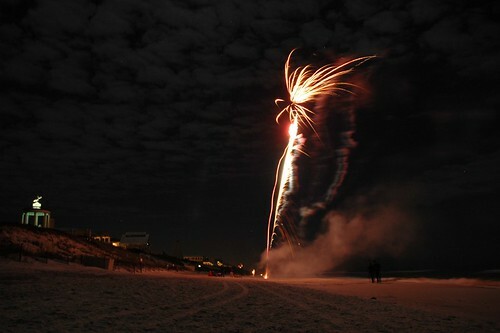 Watch the show from the beach in Rosemary! The South Walton Community Council organizes this community event to keep our beaches beautiful. Volunteers meet at one of the following beach accesses: Miramar, Dune Allen, Ed Walline Park, Blue Mountain, Grayton, Butler (between Seaside & WaterColor), Seagrove, or Inlet Beach. Trash bags, gloves, bottled water will be provided. Stroll the shops of Ruskin Place enjoy the live music, libations and fine art in Seaside’s artist district. MEYER Boarding Company is known for it’s hand-crafted skim boards and land paddle cruisers (think YOLO on land). In this DIY workshop you’ll get the chance to paint your own board alongside the 2013 artist of the year, Andy Sacznski at his studio-gallery. Enjoy the stage version the story at Seaside’s Amphitheater! Alys Beach presents The Lorax in the amphitheater. Don’t forget your blanket and chairs! Bring your blanket and chairs to the Alys Beach Amphitheater to watch The Lorax. Food and drink offered by Piper’s Food Stand. Bring a blanket and enjoy Rise of the Guardians on the green at Rosemary Beach. Paintings, Sculpture, Pottery, Hand-Crafted Jewelry and Furniture. Enjoy Dolphin Tale on the bank of Western Lake in WaterColor’s Marina Park. Join DREC for the third of this four-race series. Women race at 5:30. Men race at 6:00. Next Level races at 6:30. Races take place at the WaterColor Boat House on Western Lake. Watch the race from the bridge over Western Lake, this event is fun for the whole family! Topsail presents an evening of live music in the amphitheater. Pets welcome! Bring your blanket and chairs to the Alys Beach Amphitheatre! Be sure to steak out your spot long before the show begins at 7PM. Enjoy local specialties in the Seaside Amphitheater. 30A’s newest farmer’s market in Rosemary Beach features local produce, dairy, seafood, baked goods, canned goods and food stands on Sundays from 9AM – 2PM. Don’t miss this hilarious event at our local theater. This one is for the grown-ups. Purchase tickets here, at the door, or Amavida Coffee in Rosemary Beach. Enjoy a sunset dinner aboard the the area’s only fine dining & entertainment yacht. Make reservations here. A gloriously funny makeover of the Sherlock Holmes classic presented at the Seaside Repertory Theater; tickets are $30. Lawn games, face painting and fireworks at the Baytowne Wharf Events Plaza!